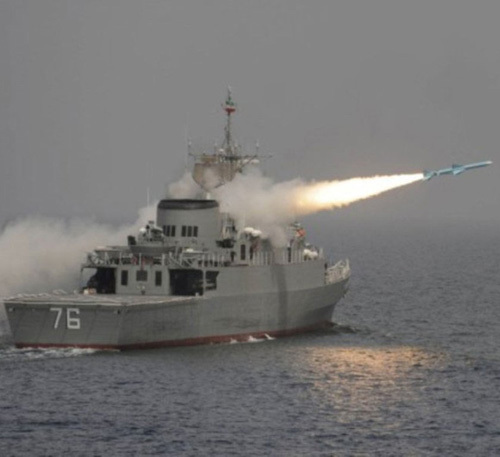 Iranian Navy Commander Rear Admiral Habibollah Sayyari announced that over two dozen naval exercises have been planned to be held by the end of the current Iranian year (ends March 20, 2018), Fars News Agency (FNA) reported. “We will hold a sum of 25 naval drills in the current year,” Admiral Sayyari said. Rear Admiral Sayyari underlined that the naval exercises will be held in the Persian Gulf and Caspian Sea, and it will ultimately lead to the massive Velayat-96 naval drills. “Our objective is to train experts who can carry out Navy's critical missions, especially in the high seas and among various countries, to bring the country great honor and security,” he added. Iran’s biggest naval military maneuver, code-named Velayat-95, was held in North part of the Indian Ocean in February 2017. Velayat-94 military maneuvers were staged in January 2016 across a large swath of territorial waters and high seas in the Persian Gulf, the Strait of Hormuz and the Indian Ocean.